Whenever I listen to debates regarding the ethics and scientific value of animal experiments for medical progress, the justification tends to rely on historical rather than scientific reasoning: Because animals were used in the past, they remain necessary. The end. A recent report by the European Union Scientific Committee on Health, Environmental and Emerging Risks (SCHEER) – commissioned to examine whether there is still a need for monkeys and other non-human primates in research – is a case in point. 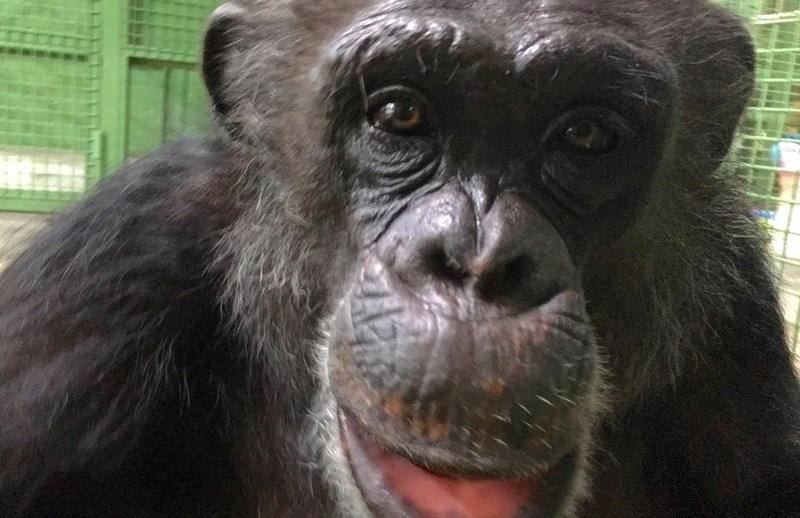 Although the report sets out some potential avenues for reducing primate use, it ultimately concludes that there is still a need to use these animals – our nearest biological relatives – in invasive experiments, with no end in sight. The report provides nothing in the way of a thoughtful process or timetable to shift emphasis away from harmful and misleading primate experiments and toward more human-relevant research. Further, the report’s conclusion doesn’t fit the evidence. 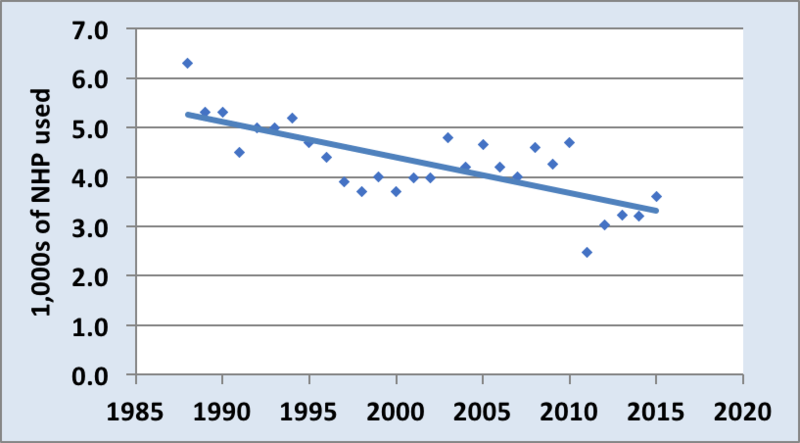 NHP use in the UK is steadily dropping, and the same is true for the wider EU. The majority of NHP use is for medicines development and safety testing. In reality, primate experiments in laboratories across the European Union have been in steady decline, with a 40 percent drop in the UK alone over the past two decades. Today, nearly nine out of every 10 primate experiments in the UK (87 percent) are carried out for regulatory testing – not medical research – and a recent report to the Dutch government has indicated replacement of all animal use for testing purposes should be possible by 2025. So how much weight do the conclusions of the SCHEER report really deserve? Take brain research as an example. Defenders of animal experiments would argue that it’s still ‘scientifically necessary’ to insert a metal probe deep into a conscious monkey’s brain to measure the electrical activity of a single brain cell. But what does it tell us about human consciousness? An eminent neuropsychologist told me that this pinpoint determination of brain activity is like looking at one blade of grass on a football field during the big game. The blade of grass moves, and you might know that something has happened, but you have no inkling if it was a goal, or a foul, or a penalty. Recognising this limitation, other brain researchers are working to develop more human-relevant methods, including non-invasive clinical research with consenting human patients and healthy volunteers. The use of advanced, non-invasive imaging afforded us now by developing technology gives an insight into the workings of the human brain. These wider images of human brain might not tell us which individual cells are ‘firing’, but can tell us what areas of the brain are active, and whether neurodegenerative diseases such as Alzheimer’s have affected this. In the United States, it was once frequently asserted that chimpanzee research was vitally necessary for human health. But when the Institute of Medicine convened a committee at the behest of the Director of the National Institutes of Health to examine the issues, they concluded that the use of chimpanzees in invasive research was largely unnecessary. This could very well be the same for the other primates. To its credit, the SCHEER report affords some glimpses of 21st century science. The report refers to induced pluripotent stem cells – reprogrammable human cells created from adult tissue, with many possible applications in disease research. The report also mentions other human-relevant approaches such as exploratory clinical trials and micro-dosing. However, the overall thread is one that insists that a total end to non-human primate experiments will not be possible, with an absolute refusal to introduce a timetable for a phase-out. Humans, bonobos and chimps are more closely related to each other than either of them is to gorillas, or any other primate. Image courtesy of Libby Smidl/The HSUS. There are some disturbing paradoxes in primate research. The close similarity of our genetic codes – comparing humans with chimpanzees, other apes and monkeys – is proposed as advantageous for scientific research. The argument is that non-human primates are ‘required’ for research because of their similarity to people; researchers using these species tell us that their responses will accurately predict human reactions. This is not strictly true. The argument in support of using primates in research into the effectiveness of antibodies as drugs – that human and non-human primate immune system are closely related – is in direct contrast to the admission that immune responses in other primate species are often poorly predictive of human responses. This was seen only too clearly in 2006 when an experimental antibody, which had not raised any concerns in primate tests, caused horrendous multi-organ failure in the six men it was given to. In fact, immune system responses, and the molecular structures that underlie them, are incredibly species-specific. There is a pressing need for change. The continued use of primates in experiments will not provide us with the answers that modern medicine requires. Personalised medicine is a rapidly expanding field and focuses on the individuality of each patient, tailoring treatment to fit the patient and the disease. Is it ever possible to develop personalised medicine using non-human models? I don’t believe so. It is time to move away from non-human primates in medical research, not least because it diverts valuable and scarce resources away from more promising avenues. The reasons that we are told make primates necessary in research, now and for the foreseeable future, are the very same reasons that support progress towards ending their use. This is a conundrum that others have sounded many times before. Do not our close biological continuities imply a greater moral and practical obligation to avoid using nonhuman primates in harmful and potentially fatal research? Just as importantly, the almost exponential rise in the development of alternative, non-primate research tools questions the necessity for their continued use in research, and stricter restrictions on such use is likely to promote the development of these superior techniques. In fact, there is very limited public support for non-human primates in research. A 2016 Ipsos MORI survey of United Kingdom residents found that only 17 percent of respondents support using large monkeys such as macaques in medical research conducted to benefit people. It seems that the EU report misses an opportunity; it fails to adequately address this concern and does the public, and the species it aims to protect, a disservice. NORMAL HEALTHY LIFE…AND THIS IS NO JOKE. CAUSING ANIMALS TO SUFFER BECAUSE YOU THE HUMAN BELIEVE YOU ARE BETTER IS THE WORST SIN OF ALL. THAT ANIMALS’ LIVES ARE SOMETIMES FAR MORE PRECIOUS THAN MOST HUMANS. I strongly and totally disagree with testing things on animals.I do not even eat flesh of any animal. You DO HAVE TO TAKE INTO CONSIDERATION THE VOICE OF PEOPLE LIKE ME !You do not have the right to decide on your own ! Who gave you the right to believe you are more important than any animal seeing that you are an animal too. Do you think you are more clever? You are not. You are busy destroying the earth! That is how clever you are! DO NOT USE GOD’S CREATURES FOR EXPERIMENTS I AM WARNING YOU ! WE ARE GOING TO FACE WORLD WAR 3 AGAINST ALIENS ! God took me and gave me a vision as I am a Psychic and had a near death experience. DO NOT PLAY WITH HIS CREATION ! I as well amm an aspiring blog blogger but I’m still new to everything. Hi Janet, thanks for the positive comment. I am really glad that you are enjoying the blog, despite the sadness of the subject matter, I enjoy writing them. I am not sure I am the best person to ask advice of, as I am quite new to this! There are lots of online sites that offer advice, I can only say what I try to do – keeping it short and simple, adding images to break up text and thinking of your message. Hope that helps, and good luck.